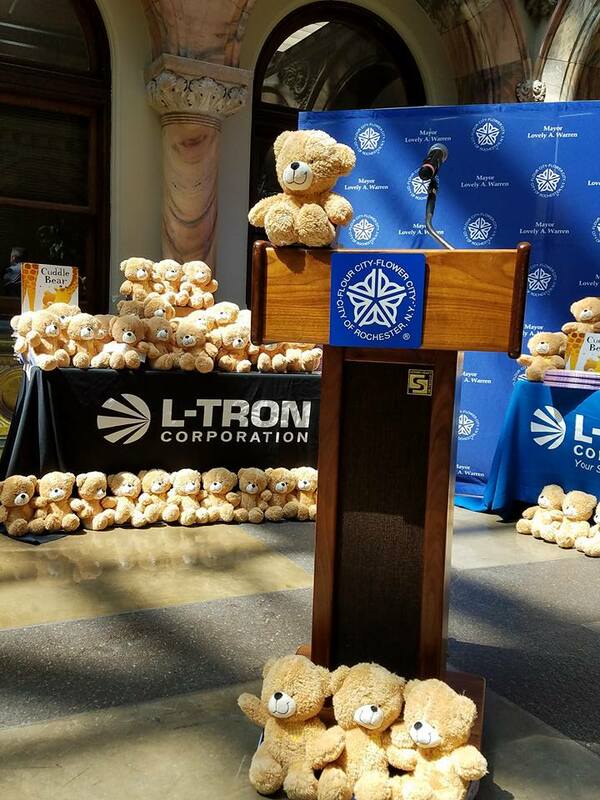 On Tuesday, May 30th 2017 L-Tron was honored to deliver our Cuddle Bear Donations to City Hall. 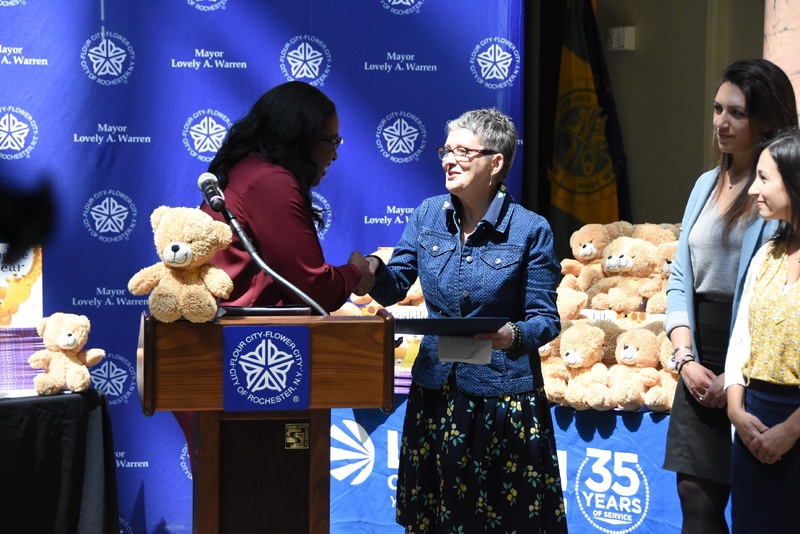 Rochester Mayor Lovely A. Warren accepted the donation of hundreds of teddy bears and children’s books for the Books and Bears Program for the Rochester NY Police Department. We would like to extend a special thank you to the JACK Foundation for their sizeable donation, as well as to Papaya Restaurant for hosting our happy hour event. Thank you for your support! Visit www.cityofrochester.gov/booksandbears to learn more about the Books and Bears program, and the impact it can have on the community. Click here to view photos from our donation drop off event. All photos are credited to the Communications Bureau, City of Rochester, NY. 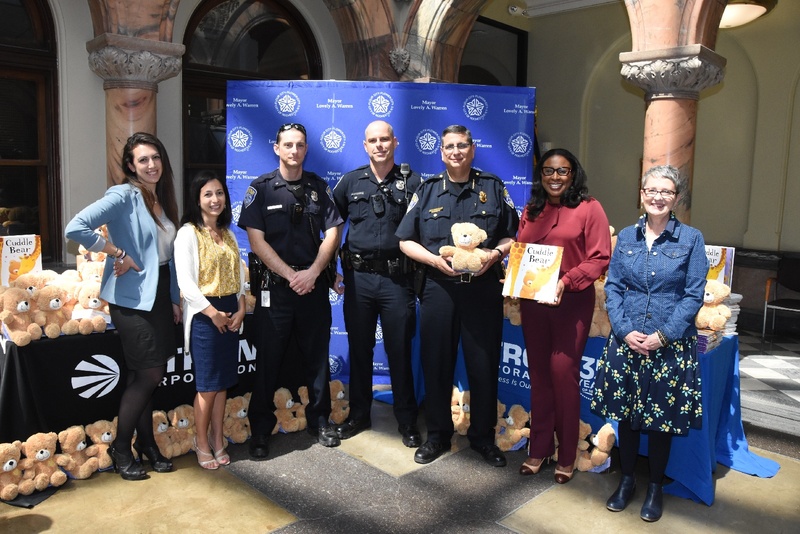 Community members and local businesses are teamed together to support the Rochester Police Department (RPD) Cuddle Bear drive. The purpose of this drive was to donate hardcover "Cuddle Bear" books and matching stuffed animals to the Department, so that Police Officers have them on-hand to distribute to frightened and worried young children while on calls. The Cuddle Bear Drive supports the "Books and Bears" program currently in place at the RPD. The RPD "Books and Bears" program was formed by Rochester Mayor, Lovely Warren, in 2014 as a way to enhance the relationship between the local police and the community. "We all know that our officers respond to horrible situations all the time. It's our hope that the books and teddy bears will lift the spirits of the children involved." How can you continue to make a difference? 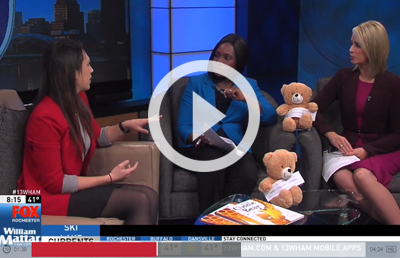 Read this blog by Carmella DeRose on why the Cuddle Bear Drive is so important to the community, the Rochester Police Department and the children that they help. Only NEW Books and Bears will be accepted by the drive. Used items will not be accepted. Photo credit: Communications Bureau, City of Rochester, NY. “The Books and Bears program is a wonderful example of how a small gesture can lead to great things – which is the essence of community policing. When officers take the time during a busy and hectic event to acknowledge the presence of young children, they are showing those children that they are not invisible, that they matter and that we care about them. - Rochester Mayor, Lovely A. Warren. Spread the word & share the cause via social media! We are donating time and driving community involvement and donations for the Cuddle Bear Drive. We work closely with Law Enforcement agencies nationwide and love to show our support through causes that "back the blue" in the local community. This past October, we sponsored our 2nd Annual "Cookies for a Cop" initiative, donating hundreds of cookies to RPD and other local Police Departments. 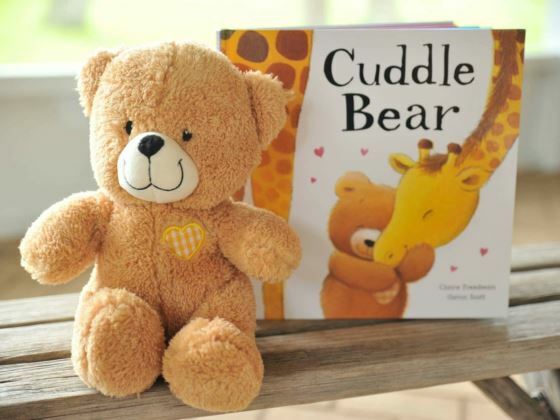 Usborne Books and more is the publisher of the "Cuddle Bear" sets. For every two sets of books and bears donated, Usborne will donate a third to the RPD. 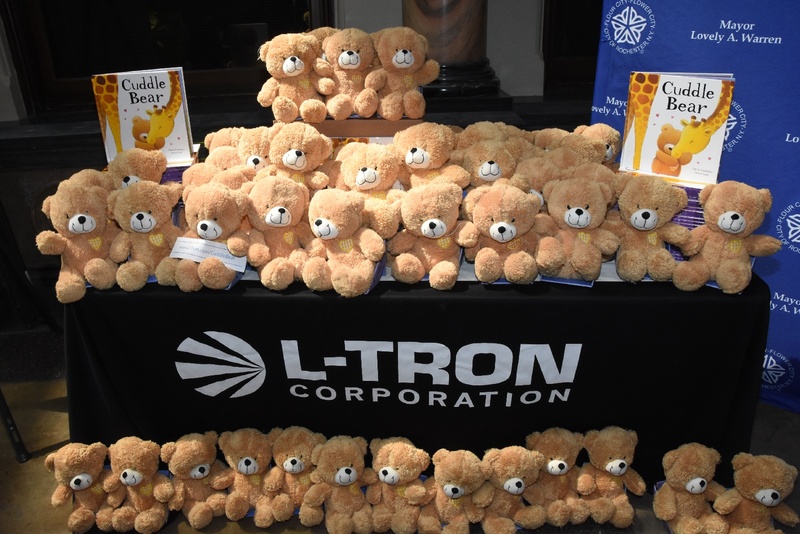 Carmella DeRose, an independent consultant for Usborne and an L-Tron employee will also be matching donations. ©L-Tron Corporation All Rights Reserved.